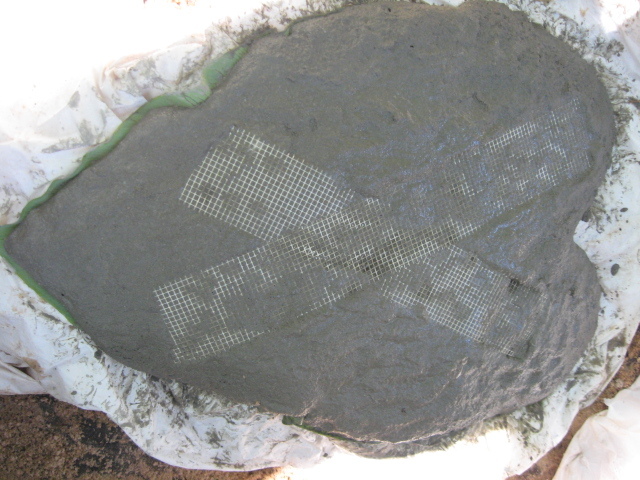 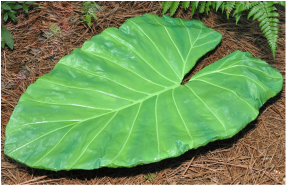 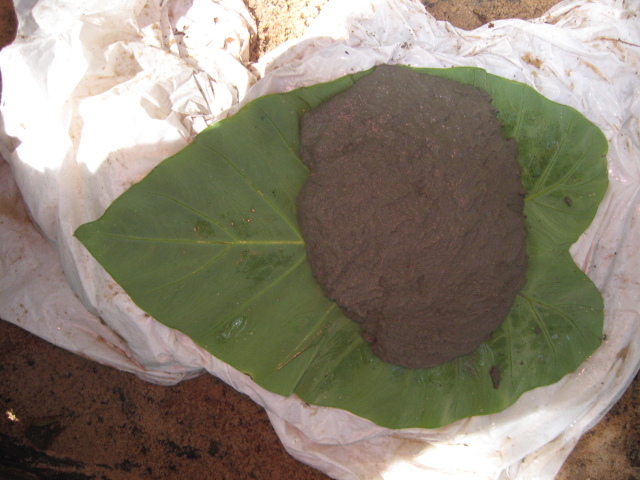 A sand and cement mixture, containing a bonder/fortifier, is applied to the back of a leaf, which has been molded over sand. 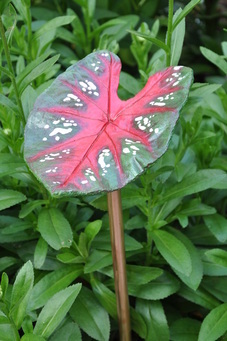 A base is added for freestanding leaves. 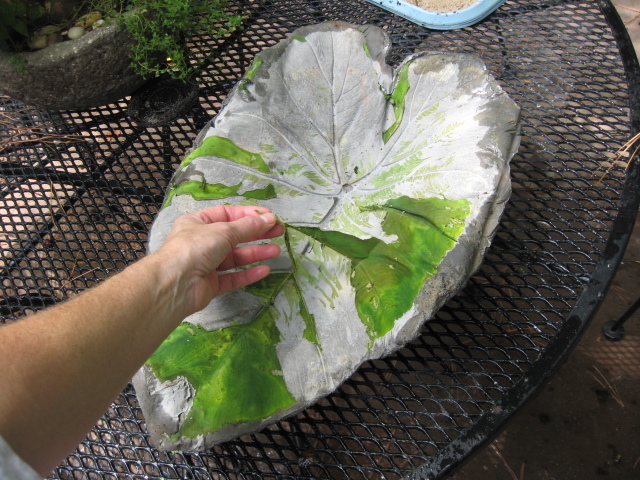 After about 3 days, the leaf is removed, revealing the impression left. Each leaf is unique, since the leaf is destroyed during the removal process. 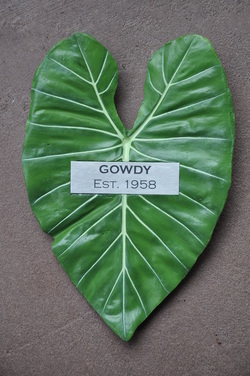 My initials and the year the leaf was cast are carved on the back. 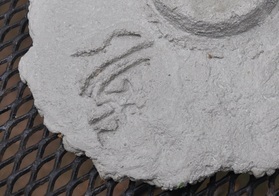 A durable non-toxic outdoor paint for concrete is applied after curing, which takes about 3 weeks. It then has two coats of an outdoor lacquer. It is not recommended to leave painted cement pieces outdoors during freezing temperatures. 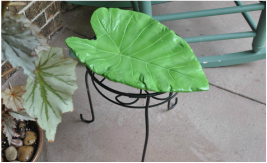 However, they are fine on a porch, protected from snow and ice. Some leaves can be attached to copper stakes (pipes). 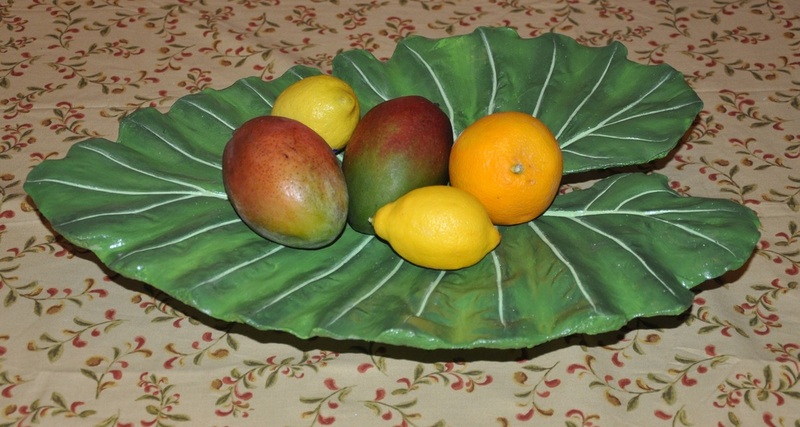 I can't sell these as food safe, but they can be used indoors for nuts, fruit or candy. 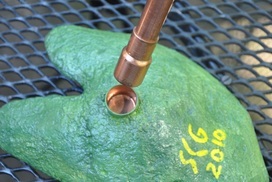 Online orders include an adapter for fitting the leaf onto a half inch copper pipe. 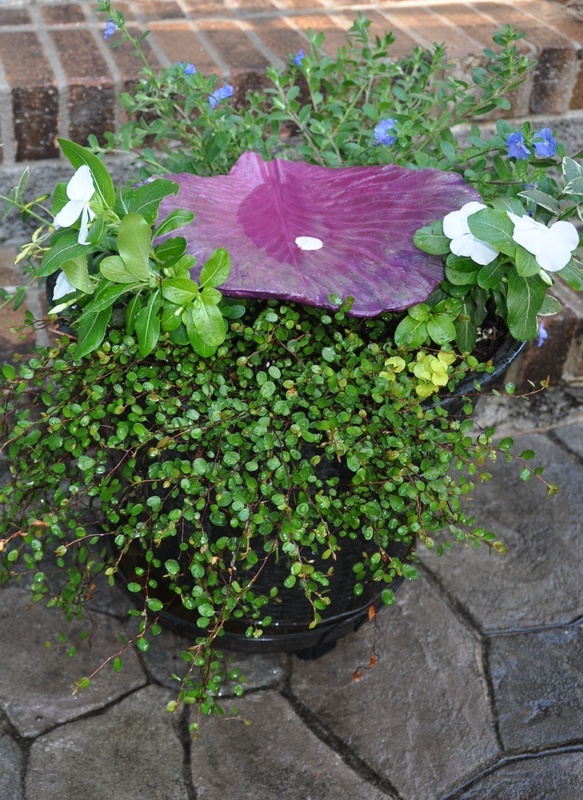 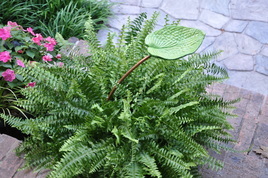 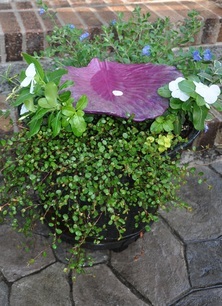 Smaller leaf baths can be attached to a copper "stem" for planting in the garden or a pot. 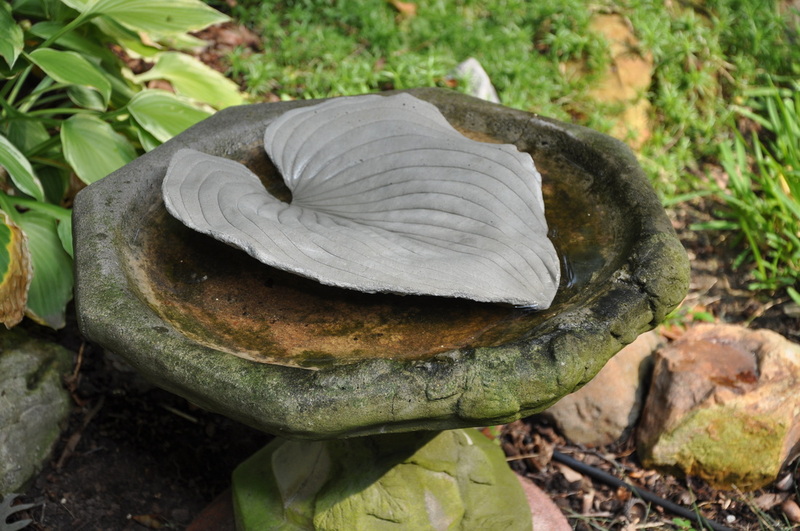 Good for small birds and butterflies. 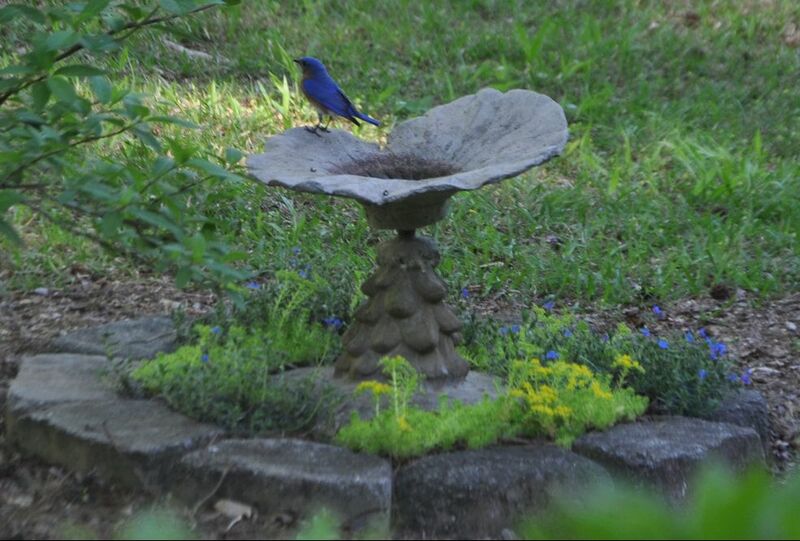 Bird bath on a stand. 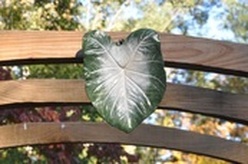 Wall art pieces come with hangers for displaying on walls, fences, and gates. 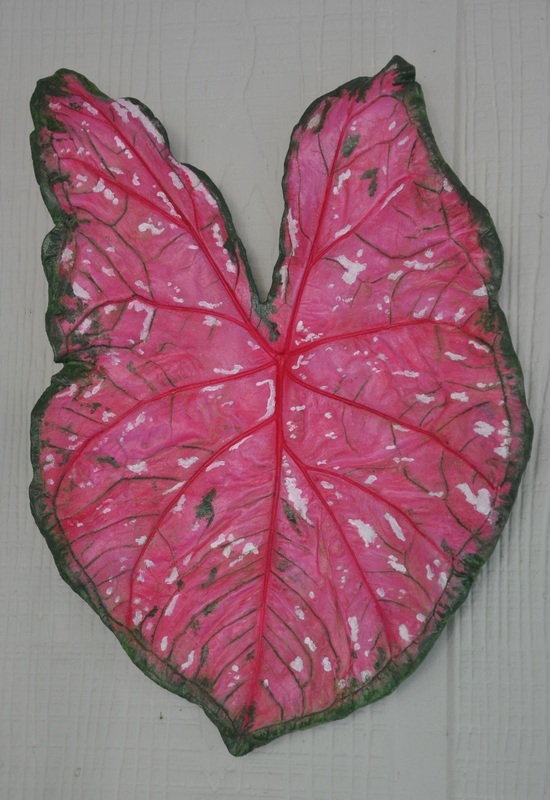 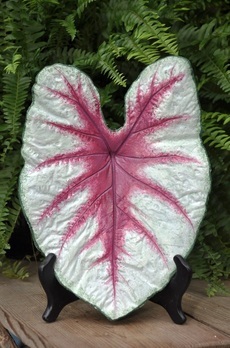 Caladium leaf on an archway. 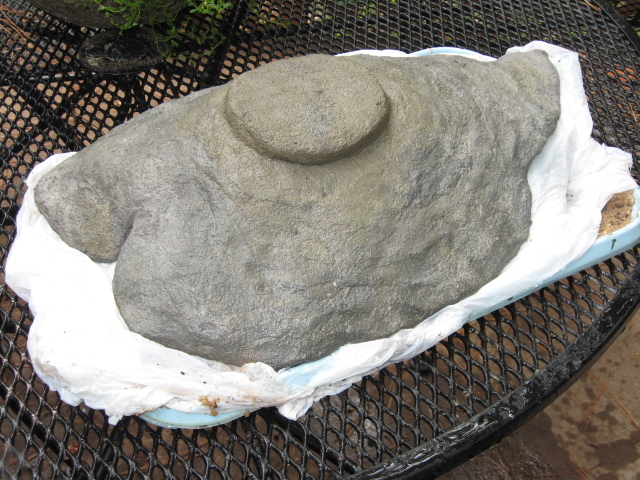 On an easel for tabletop display. 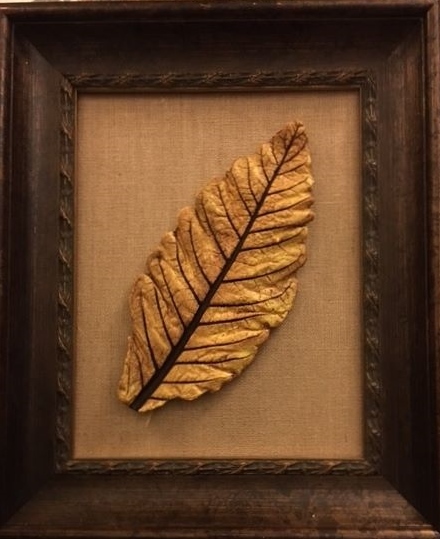 Tobacco leaf framed by the customer, RJ Reynolds. 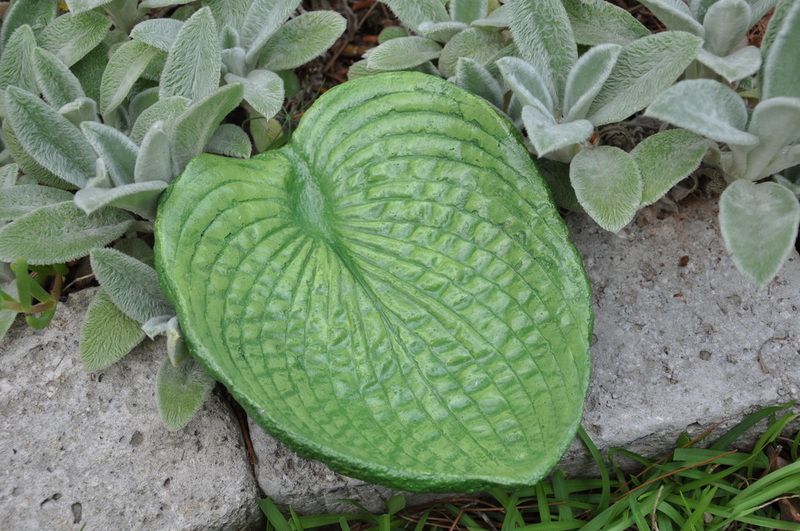 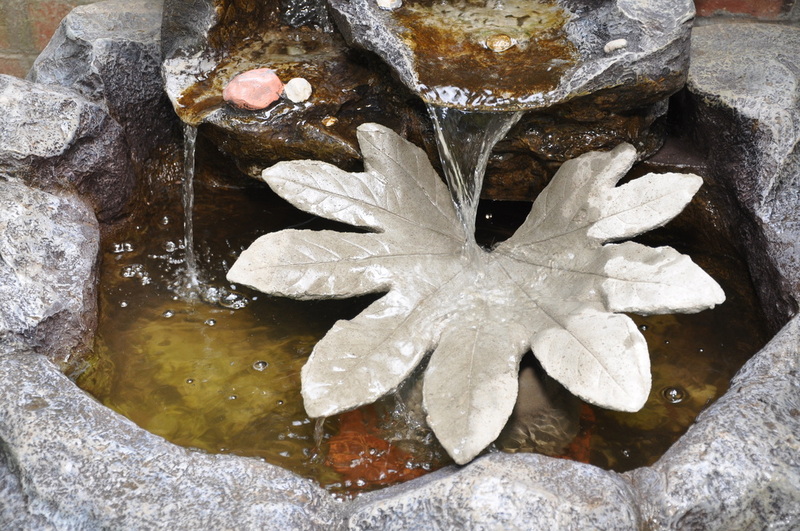 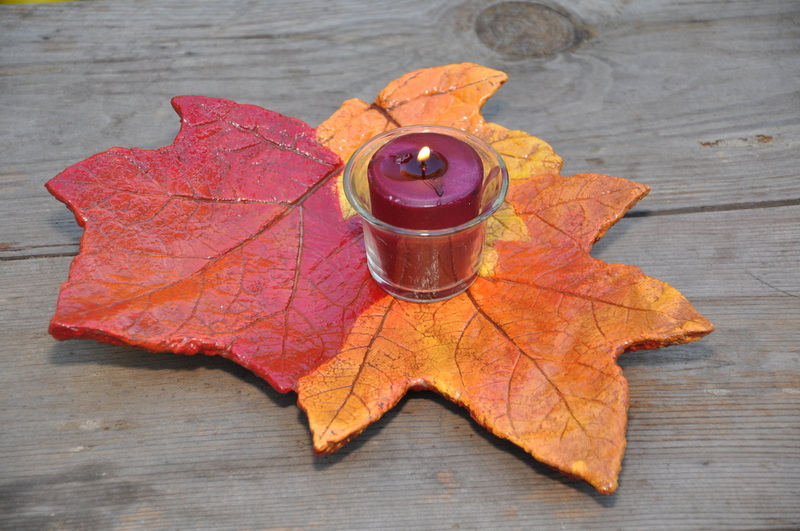 Unpainted leaves can be used in bird baths or fountains, and can be left outdoors year round.